What do I value most? It’s a question that comes up frequently in the context of big life decisions, whether we’re deciding what subject to major in, which passions we should focus our efforts on, or whether a love interest is worth pursuing. It’s a seemingly straightforward question that — if answered thoughtfully — speaks to the very core of our identity. And this is exactly why asking the question is essential to good teaching, says psychological scientist Kelly McGonigal. 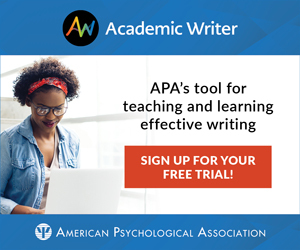 “It seems like every time I’m reading a journal, Psychological Science or another journal, there’s almost always at least one study testing this particular intervention where you ask people to identify what really matters to them, what their core values are, and then to maybe spend 10 minutes writing about that value or talking about it with someone,” McGonigal said during her APS–David Myers Distinguished Lecture on the Science and Craft of Teaching Psychological Science, delivered at the 2016 APS Annual Convention in Chicago. And there’s a good reason for this: Mounting empirical evidence suggests that identifying and affirming one’s values can have benefits across a variety of contexts. Emerging findings indicate that affirming one’s values can help buffer against some of the destructive cognitive processes that arise when we encounter threatening information such as negative feedback and social rejection. At the same time, values affirmation also seems to engage protective psychological processes that contribute to positive outcomes such as increased pain tolerance, self-control, and feelings of social connection. Some evidence suggests that these benefits can have observable effects on well-being months or even years after the initial intervention. Fortunately, the steps typically involved in values-affirmation interventions are straightforward — first you identify your values and then you affirm them, perhaps by writing about them or by talking about them with a friend or mentor. Drawing from research on acceptance and commitment therapy, motivational interviewing, and mindfulness-based approaches, McGonigal adds a third step to the process: enacting your values. 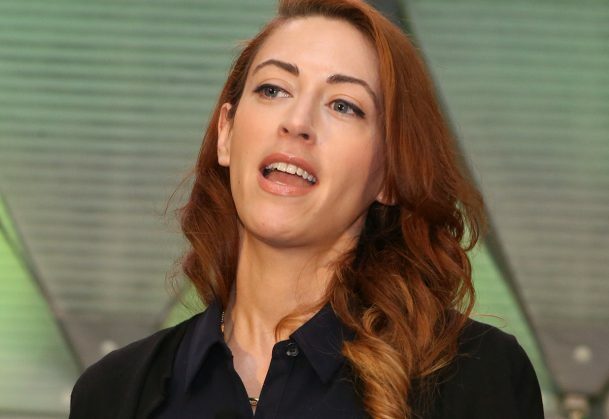 “The hope is that as you go through life, you’ve contemplated your values and now you start to think, in a difficult moment, ‘How is this an opportunity to practice honesty?’ or ‘How is this an opportunity to put my family first?’” McGonigal explained. As you deliberately give thought to what your values are, they “start to rise to serve you when you need them as a resource,” she said. Although values affirmation can take place in private, expressing the values that are important to us in a public way gives others an opportunity to affirm the values in us as well. As an example, McGonigal described how she invited friends and colleagues to share their values on Twitter as she prepared for her talk. Her colleague Brian Knutson (Stanford University) tweeted that a core value of his was having fun; not long thereafter, two of his mentees chimed in, confirming that Knutson’s commitment to fun really supported them when they worked in his lab. McGonigal, a lecturer at Stanford University, popular public speaker, and psychology consultant for educational initiatives at The New York Times, places great value on giving psychology away and involving students directly in the science. Rather than delivering an hour-long lecture, she chose to enact her own values by engaging audience members in the learning process. As part of one exercise, people were directed to think about a particular mentor and the admirable qualities that he or she possessed. McGonigal then instructed everyone to turn to someone else nearby and describe themselves using those very same attributes. She acknowledged that it may seem strange to talk about ourselves in this way — it can make us feel embarrassed, uncomfortable, or even fraudulent. “My experience has been oftentimes people start changing [the words] because they don’t want to own it yet,” McGonigal said. But sometimes the discomfort gives way, allowing individuals to see themselves from a different perspective. “Often you hit on something you’re sort of afraid to say but it secretly makes you happy to say it,” she added. The critical step for those who teach psychological science is figuring out how personal values overlap with professional life. Determining how science and teaching allow people to express what they care about provides a solid foundation for making choices in the classroom and can guide the process of curriculum design, she said. For McGonigal, the values that overlap between her personal and professional lives include deep inquiry that incorporates multiple points of view, helping others to thrive, and transforming suffering into opportunities for connection and growth. The stories she chooses to tell in the classroom are one method by which she enacts those values and communicates them to her students. About a year ago, McGonigal had given a talk about the science of stress and resilience at a small college in New York. Ostensibly, the talk went well, but the next day she received an email from an audience member who was less than pleased. The attendee said that the talk was not only boring, it also lacked any kind of uplifting or useful insights and it offered nothing that would benefit those students who were struggling. The email hit McGonigal hard, given that she had prepared the talk specifically with students in mind, and it left her questioning her contributions as a teacher and mentor. The email placed McGonigal squarely in what educator and activist Parker Palmer refers to as the “tragic gap,” or the disconnect between the ideals we want to enact and what we are actually capable of achieving in a given moment. She realized that the criticism hurt because it concerned a value — helping others thrive — that she cared about deeply. Rather than ignoring the email or writing it off, she heeded Palmer’s advice and confronted the tragic gap head-on. She reflected on why it was that she wanted to help students and thought about ways in which she could improve her efforts to do so. Several months later, McGonigal heard several of her workshop participants express the fears that they might not be capable of enacting their values and providing something of worth to others, so she decided to share the story of the email incident with them. In relaying her own struggle, she helped to show the importance of recommitting to one’s values when they are challenged by feelings of doubt or inadequacy. “As a teacher, I had always thought stories are there to entertain people, to keep undergraduates awake … I didn’t know how to use them in my teaching,” she said. Sharing the story of that particularly painful experience “helped my own suffering, and I heard from a lot of people at that event how useful it was to hear that as well,” she added. “When you think about all of the opportunities that you have as a teacher — whether it’s running a lab meeting, or teaching a seminar or large lecture class, or just the conversations that you have in office hours or with students that you’re mentoring — [try] to think of all of that as something you could do a little bit more intentionally by connecting it to your values,” McGonigal concluded. She closed by encouraging the audience to get in touch and tweet their values to her at @kellymcgonigal. Slides from the talk and additional materials and exercises related to self-affirmation and values-reflection are available here.